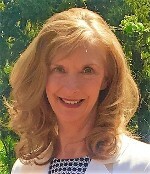 Kathy is a Travel Expert with 20+ years of clinical and management experience in Geriatric, Neurology, Rehabilitation and senior housing as an RN and ATP (Adaptive Technology Professional). She realized after years of counseling with families and clients that the QUEST to enjoy life "Should Never Have to Stop". Her ability to overcome Fear and Anxiety about travel... Makes "Bucket-List Dreams come true. Her professional career has allowed her to be a public speaker, CEU educator, clinical consultant, and passionate travel advocate. Kathy is uniquely qualified to understand travel challenges and create rational solutions. Her passion is to deliver “Travel opportunities so the Everyone can ENJOY their Life”, even when accessibility challenges and clinical issues exist. All seniors and those afflicted with limiting diagnosis still deserve to ENJOY EVERY DAY THAT GOD GIVES US! 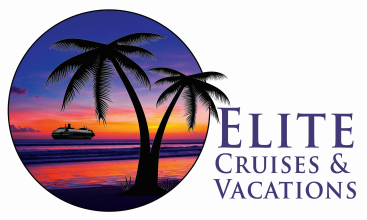 Founded in 2005, Elite Cruises And Vacations LLC, is Owned and operated with Sincere Passion to help people Enjoy their Lives! Specializing in group, multi-generational and Edu travel, our group travel events have focused on specific diagnoses such as Dementia/ Alzheimer’s, Parkinson’s, MS, Diabetes and several more. We have also created custom cruise and conference group events around an individual senior housing company, fitness educator, CEU education and home health conglomerate. Mobility specialist, creating travel opportunities for those that may require Power wheelchairs or electric Scooters, Portable O2 and room concentrators, Hospital beds, Hoyer Lifts, Elevated toilet seats or shower chairs to name a few. Fellow at the American College of Healthcare Trustees, Certified Dementia Educator; an Athena Nominated Senior Care Advocate, and an American Express Travel Agency Award winner.